For some reason, I love this month's Studio Calico June "Paper Moon" kit to do with birthdays! Lol. My previous entry was about an altered b'day frame & a card. 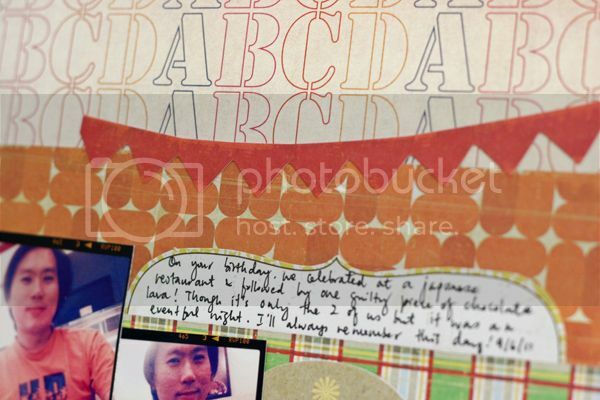 And this round, I wanna share with you a birthday layout I created for my Mr.Handsome. 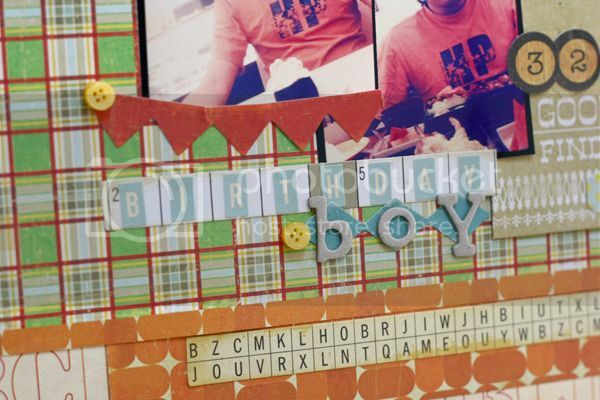 He celebrated his b'day on the 9th and to cherish this year's b'day, I decided to do a layout. 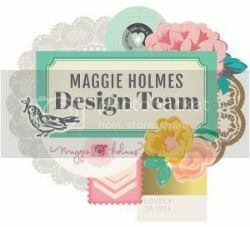 I seriously heart the colorful look for this layout! It was fun to combine all the cheery colors together, perfect for a birthday theme! Thanks for dropping by and remember to check out the store for awesome deal on the monthly kit & also all the other yummies in there. Till then, happy scrapping! Great page here Jessy. 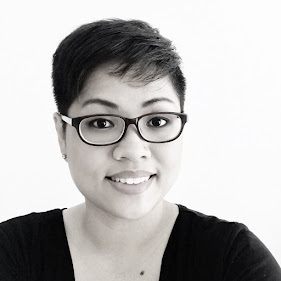 Thanks for popping by my blog and your comments. Yes, your birthday boy Mr Handsome is certainly a "good find"!!! haha, I love that little touch on the layout! Made me smile! Beautiful layout Jessy! Love it!! Also love that June kit - especially that Crate Paper Toybox paper - great job you did & love how you cut out the numbers from the sticker strip - very inspiring!! Beautiful page! I love how you leveraged this collection by Crate, I say it's not an easy one to use. You rocked it!! Great page! Great combo of colors/papers! 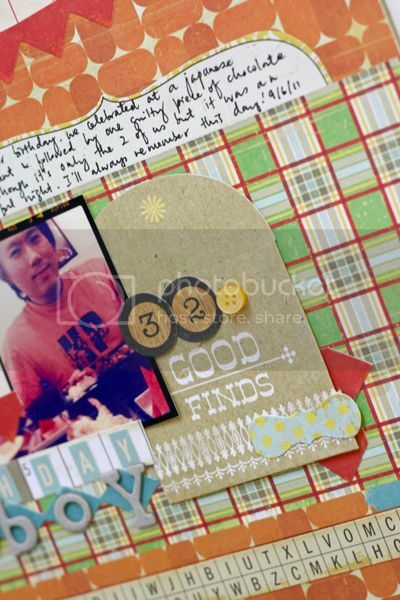 Love the soft, yet masculine colors on this layout, Jessy! This is adorable, Jessy! Absolutely love the combo of goodies on here. Great papers and colors. Love the photos, and your title work is just outstanding. Great design, I love that background sheet of paper.